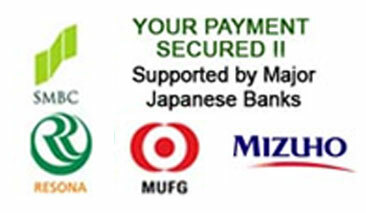 RamaDBK Ltd. is JUMVEA Safe Trade Member. 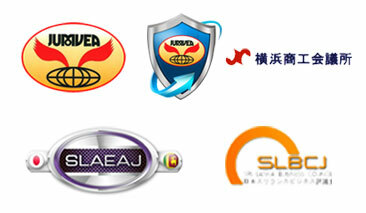 RamaDBK is a Registered and Certified Used Motor Vehicle Exporter in Japan. RamaDBK Ltd. is a Japanese car dealer pioneering a major role in the Japanese vehicle export industry providing all kinds of vehicles to individual buyers, dealers, industry and government organizations. Established in 1988 RamaDBK is now one of the Leading Vehicle Exporters in Japan and serves customers in over 80 countries on six continents. We deal with a wide variety of Japanese used vehicles as well as brand new vehicles allowing you to buy your dream vehicle that you have been waiting for. We export all the major makes of Japanese cars like Toyota, Honda, Nissan, Mitsubishi, Mazda, Subaru, Isuzu, Suzuki and Daihatsu with a vast selection of models, colors and age. We are also able to ship on short notice to anywhere in the world. Because of our years of experience in Exporting Japanese cars and worldwide automotive industry, we have been able to build strong and lasting business relationships with car dealers and major Auctioneers across Japan. As a result, we are able to obtain automobiles at highly competitive prices. We aim for customer satisfaction because at RamaDBK we believe that exporting of vehicles is a customer satisfying process and our customer's growth reflects our growth. Our operations add value and enhance the efficiency of customer's business operations to help achieve competitive advantage. The history of RamaDBK runs as far back as 1988 and completes its twenty one years this year 2009. As a young entrepreneur of 21 years, I was the pioneer of this dwell-established company, now hosted in our own building in Shin-Koyasu, Yokohama. This is only 20 minutes drive from Tokyo capital of Japan. When RamaDBK was initiated, we had to face the big challenge of building a market for used and recondition vehicles. Vehicle export trade was conducted completely by Japanese Exporters. It was different for us as we had to change the consumer mind set to buy Japanese vehicles from a non Japanese. But we managed to build up a sense of responsibility and trust among our customers. Gradually, we became successful in getting the biggest share in the economy of vehicle exports in Japan. With the introduction of computer and globalization, things were made easy. The Internet became our platform for vehicle trade. Through our website daily we walk through miles and miles around the globe. We have made it very easy for anybody, who has an access to computer to select and import a vehicle to his/her taste. Our web site covers the pictures, details and prices of most of the vehicles in our yard and the person need not come to Japan to buy his/her dream-vehicle.